Elements Applied: Dried plant elements are applied in herbal medicine. Raw herb is never employed. Pyrrolizidine alkaloids; floridanine, otosenine, florosenine. Eremophilane sesquiterpenes, like caccalol, trans-9-oxofuranoeremophilane- 8x-ethoxy-l0x-H-eremophilane. Used For: The herb is known to stimulate uterus, induce urination and perspiration, help treat coughs, relieve inflammations, induce menstruation, and relieve fevers. Life Root may be reliably applied in any case where uterine stimulation is necessary. It is applied in any case of menopausal symptoms. 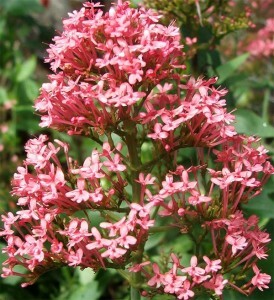 Additionally, the herb is used to promote and support sufficient menstruation. As a douche the herb is applied for leucorrhoea. It is thought to be effective in cases of debility, and diseases, such as tuberculosis. Commonly mixed with: To relieve menopausal symptoms the herb is commonly mixed with St. John’s Wort, Pasque Flower, or Oats. Additional Info: The herb is indigenous to North America and Europe. Preparation and Intake: To prepare an infusion, take 1-3 teaspoons of dry herb extract for 250 ml of boiling water, steep for ten to fifteen minutes. The result is consumed thrice per day. In form of tincture the herb is applied at a dose of 1-4 ml thrice per day. Safety: There is no data concerning herb’s safety level. It is possible that the herb interacts with the medicine you use. Don’t try the remedy before speaking to your health-care provider.